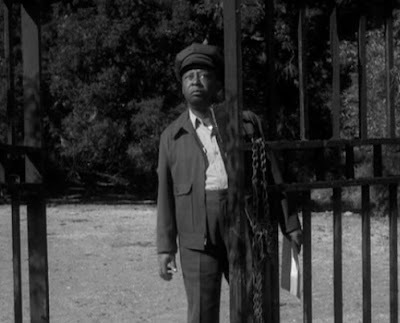 My first glimpse at Mantan Moreland was as the innocent and highly unsuspecting postman in Spider Baby. At the time I didn't think much of it- he was merely a mail man who needed to be there in order to showcase the first kill. But going back and doing some research I found that Moreland's life as an actor was actually quite complicated. What would appear to others as just a very minor role in a dark-comedic horror movie., stands as a major downgrade from the types of roles that Moreland was used to. 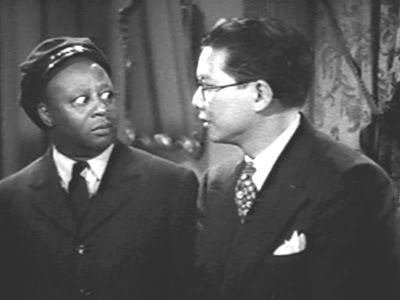 Previous to this film, Mantan Moreland was a regular in comedy thrillers of Hollywood, the only problem is his roles began to be met with dissension amongst those campaigning for proper treatment of African Americans. What should have been a return to more featured roles for Moreland unfortunately resulted in a retrograde movement due to the change in attitudes towards black actors during the Civil Rights Movement. Due to this, Moreland's deep comedic center seemed to drift off into the unknown and in the case of me, many saw him as just another "mailman" as his later films and appearances did little to salvage what his history left behind. Born in 1902, Mantan began running away from home at the age 12 in order to join circuses, a habit that would have him reluctantly being returned home time and time again. It was during these brief stints with the circus that Moreland began sharpening his comedic skills and he began to develop acts that would become popular on the Vaudeville stage. One of his more famous routines involved something referred to as "indefinite talk" or incomplete sentence routines- where he would team up with another comic and the two would continually finish and top one another mid-sentence. Someone along the line, Moreland's focus began to change to film where due to his great ability to make people laugh, he was cast in more featured roles. 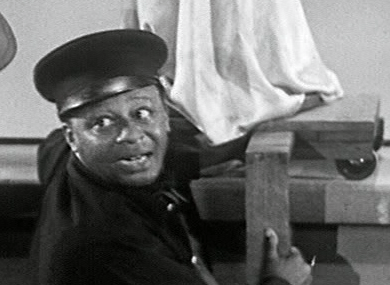 These roles usually placed Moreland in a manservant type of role, playing a character that was easily startled and ran from trouble at a moment's notice. It was these types of roles that gave Moreland both infamy and problems as the public began to take note that these roles were offensive and stereotypical. Perhaps the role that helped Moreland truly breakthrough was his reoccurring role as Birmingham, Charlie Chan's skittish chauffeur who often warned his boss of the impending doom that was to come. By the 1950's however peoples attitudes began to change, and the rise of the Civil Rights Movement interpreted all of Moreland's past roles as racist. This resulted in Mantan and many others being ridiculed and ostracized for what they had achieved in their past. 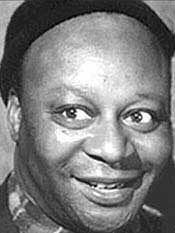 Unfortunately it would take decades before generations could forget these roles, and before Mantan Moreland could make his comeback into film doing what he loved to do. 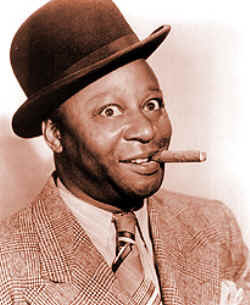 By the time Moreland was able to make this comeback he was riddled with ill health and although he did manage to make a few appearances alongside comic greats like Bill Cosby and Carl Reiner, his life ended in 1973 when he died of cerebral hemorrhaging, just as he was "settling into his renewed popularity". The research of Mantan Moreland has without a doubt surprised me. Although most articles I have read say that he is today remembered for his comedic genius and not his "black character acting" it still makes me angry that his career was put on hold for so long. While Mantan Moreland may have broken some barriers and opened doors for other black actor's to follow, it stills leaves me with a deep feeling of regret that Mantan Moreland wasn't able to showcase his talents as well as he should have. Instead of completely starting anew and turning stereotypes on their heads, it seems as though Moreland was shoved into the back of a cold and darkened room, until generations withered and people "forgot" the past. Thankfully for me, and now hopefully many of you, you will no longer see him as just the mail man in Spider Baby- but as a man and an actor who had a tremendous love for comedy and for making others laugh. Outstanding article, Andre, really outstanding. Moreland was a very sad example of collateral damage during the Civil Right wars. Lots of black entertainers suffered from this--even Louis Armstrong himself got a very negative stigma in the black community at the time. It is what it is, and different eras had different standards of what constituted racism. I always find it arrogant when present standards are imposed on the past without any regard to context. I'd recommend checking out King of the Zombies. A run-of-the-mill 1940s cheesefest made entertaining by Moreland's comic relief. I was going to suggest King of the Zombies for viewing as well, but b-sol beat me to it! I think the film shows modern viewers both why Moreland was so popular at the time (because let's face it, he's freakin' hilarious), but also why he was so ostracized later (because of the stereotypical role he played). He definitely had a lot of comedic talent and charisma, however, and it's a shame he came of age in a time period that forced him to take such roles rather than being allowed to flex his comedic muscles in another way. Mantan was a national treasure, as were his contemporaries like Willie Best and especially Dudley Dickerson. All three appeared in many "mainstream" features and shorts (many of which were horror-comedies) but also did what were called "all-colored" or "all-black" movies. I'll be reviewing as many as I can see for my "Scared Silly" project - I'm particularly interested in seeing Mantan heading an all-black cast in "Lucky Ghost."